Excess weight is not just about bigger dress size and a person’s appearance, although those are the two most common reasons why people decide to slim down in the first place. Being overweight or obese has a lot (or everything) to do with your health and wellbeing as it increases the risk of various diseases, cancers, and early death. Weight loss is entirely possible with lifestyle adjustments involving well-balanced diet and regular exercise. To support their weight loss people often take supplements containing various ingredients or delivering one individual compound. Seville or bitter orange is widely used for weight loss purposes today, but does it work? Read on to learn more about Seville orange for weight loss, its potential efficacy, safety, and much more! While the name Seville orange may seem unfamiliar to many people this fruit also goes by other terms such as bitter orange, sour orange, and marmalade orange. Most people call it bitter orange and probably you too. Regardless of how you call it, this is a fruit from citrus family, and it is native to Southeast Asia from where it was spread across the world. 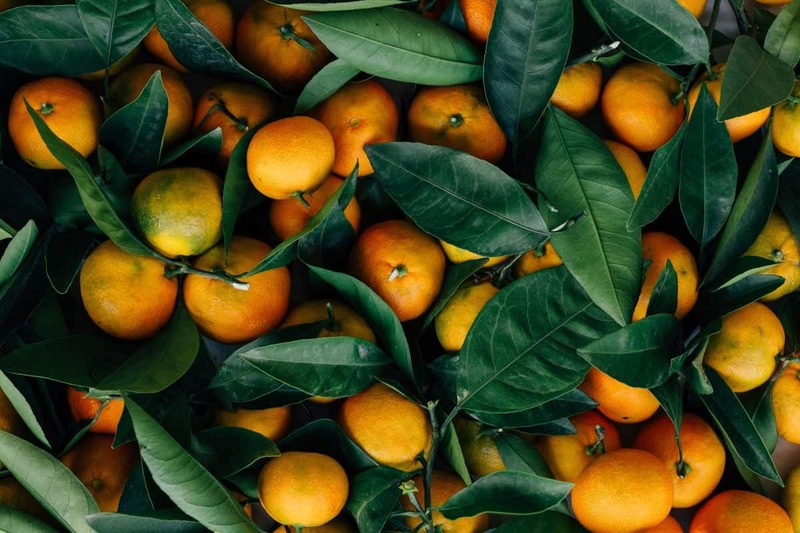 Now, wild bitter orange trees are also found in Florida, the Bahamas, Spain, and other areas. Bitter orange is versatile as people use it for multiple purposes including for essential oils, perfumes, as a flavoring and solvent, and as a medicine. The fruit is widely used to support weight loss. It’s possible to buy bitter orange supplements, but many weight loss supplements also contain it on the list of ingredients. How And Does Bitter Orange Work For Weight Loss? You know how some ingredients become popular for weight loss, and suddenly you see them everywhere? Seville orange is one of them. Lately, a vast majority of dietary supplements for weight loss contain bitter orange. People are buying bitter orange supplements to hoping it would help them slim down. The question still remains whether the fruit is effective for weight loss. Bitter orange contains an active compound called p-synephrine which is believed to deliver health benefits of this fruit including weight loss. Evidence shows that bitter orange could be a helpful weight loss agent. For example, the journal Current Therapeutic Research published a study which inspected the effects of bitter orange extract-containing product on body fat, lipid levels, mood, and safety in 23 overweight participants. The product contained a combination of bitter orange, St. John’s wort, and caffeine. All participants adhered to American Heart Association Step One diet which requires the intake of 1800 calories a day. Subjects were also required to perform a circuit training exercise program three days a week. Results of the study showed that subjects lost 1.4kg of body weight and 2.9% of body fat after six weeks of supplementation. In addition, participants experienced a significant increase in basal metabolic rate (1). Basically, the study showed that bitter orange can indeed help users lose weight and body fat. Plus, bitter orange accelerates a person’s metabolism which is vital for safe and effective weight loss. Speeding up metabolic rate is an important strategy for a successful weight loss and, besides the research mentioned above, a growing body of evidence confirms bitter orange can make it happen. For example, a study from the International Journal of Medicinal Sciences inspected the effect of 50mg p-synephrine alone or in combination with flavonoids in 40 participants. Their findings showed that the product increased resting metabolic rate by 6.9%. Therefore, scientists concluded that active compound from bitter orange can, indeed, accelerate metabolism (2). Although various studies have been conducted on the influence of Seville orange on weight management, a lot more research is needed to evaluate its full effects. About 35% of participants in current studies used bitter orange in combination with caffeine or some other ingredients. That being said, available research on this subject confirms weight loss potential of bitter orange through accelerated metabolism and increased energy expenditure. Thanks to p-synephrine, Seville oranges help you lose more calories than you consume thereby supporting your weight loss and allowing you to keep it off (3). Physical activity is a crucial component of a healthy lifestyle and successful weight loss. We sometimes forget about the importance of exercise which is why most people nowadays are inactive and have a sedentary lifestyle. Without regular physical activity, we’re at an increased risk of weight gain, arthritis, and many other problems. Even now while you’re looking for a practical way to slim down, you still need to exercise. However, it’s also important to make sure you get the most out of your regular workouts. What makes bitter orange a huge potential for weight loss is that it can improve exercise performance. One study found that supplementation with an active compound found in Seville orange has the amazing potential to boost exercise performance during resistance training (4). Regular intake of the moderate dosage of bitter orange can make your workout sessions a lot more prolific. It’s needless to mention this further supports weight loss endeavor. Diabetes is referred to as the “silent killer” because it doesn’t usually induce some signs and symptoms, at least at the beginning. In fact, millions of people have diabetes without even realizing it. That’s scary! Diabetes can lead to many other complications including cardiovascular diseases. Being overweight significantly increases your risk of diabetes, while weight loss leads to a significant reduction of your likelihood to develop this condition (5). Bitter orange has the potential to aid diabetes management by lowering blood sugar levels (6). While more research is necessary for diabetes management with bitter orange, it’s an important benefit for overweight people. Overweight or obesity and diabetes tend to go hand in hand. Managing weight can help you manage or prevent diabetes. The same way diabetes management can make your weight loss easier. Everything’s connected, as you can see. This also shows that Seville orange has both direct and indirect effects. It’s important to mention that although there are some studies about bitter orange this fruit is still insufficiently researched. This can create misunderstanding and confusion about the fruit and supplements that contain it. Emphasis is on conducting more studies about this fruit, its health benefits, and weight loss effects primarily. That being said it’s definitely a good thing bitter orange has the potential to improve various aspects of your health. Getting the most out of bitter orange for weight loss depends on the dosage and whether you’re sticking to it or not. Unfortunately, the fruit isn’t studied enough to pinpoint a certain dose that could be considered optimal for weight loss. Most studies about this fruit revolved around its safety and efficacy rather than the most convenient dose. Therefore, the recommended dosage may vary from one supplement brand to another. A reasonable weight loss can be achieved with 32mg of p-synephrine a day. The best thing to do is to stick to the dosage recommended by your doctor or manufacturer of the product you’re using. Avoid increasing or decreasing the dose on your own. Are there Any Side Effects of Bitter Orange? Everything we use whether prescription drug or over-the-counter medication or dietary supplement carries a certain risk of side effects. Of course, this doesn’t automatically mean adverse reasons are bound to happen. While considered likely safe, Seville orange can cause some serious side effects. You see, this fruit contains p-synephrine which, besides being responsible for most of its health benefits, can also cause health problems. P-synephrine is similar to the herbal supplement ephedra which is banned by the FDA due to its potential to accelerate heart rate and elevate blood pressure (7). According to the National Center for Complementary and Integrative Health some people who have been using bitter orange alone or in combination with caffeine, experienced stroke and heart attack (8). Bitter orange may also increase the risk of fainting and trigger adverse reactions such as a headache, migraine, cluster headaches, sensitivity to the sun, among others. Because Seville orange may lead to some serious side effects, it’s useful to consult your doctor before you even start using products containing it. At the same time, you need to stick to the right dosage. Your risk of side effects increases if you make a higher dose than recommended. In case you’re considering using Seville orange for weight loss, it’s crucial to inform your doctor and see what they’re going to tell you about safety and drug interactions. Who Shouldn’t Use Bitter Orange? Not every drug or ingredient is suitable for everyone. Some people need to be more careful before they take bitter orange in order to avoid potential side effects. Ideally, you shouldn’t use bitter orange if you’re pregnant or breastfeeding. While Seville orange is likely safe when used in amounts found in food, it’s not the safest option to take when it comes in medicinal amounts. Basically, if you’re pregnant you can benefit from fruit, but not supplements, pills, and other products containing bitter orange. Persons with glaucoma, high blood pressure, and irregular heartbeat shouldn’t use bitter orange products before consulting their physician. Keep in mind you need to stop taking bitter orange about two weeks prior to your surgery. Stimulating effects of bitter orange could interfere with surgery due to higher blood pressure and a faster heartbeat. Bitter orange is a popular weight loss ingredient and although evidence confirms its potential more studies are necessary to inspect its safety and efficacy. Always stick to the recommended dosage and make sure you inform your doctor about doses, other drugs you’re taking, and other relevant info. previousIs It Safe to Take Phentermine During Pregnancy? nextCan you drink coffee while on Phentermine?